Share your experiences with E Verito? Q. Can we add AC pre cooling feature to E Verito? Q. Which Electric car have top speed and long range km with fast charge sedan car in market and what are the specification of Mahindra E Verito? Q. How is it's performance during heavy rains and water logging, can it wade through water? Mahindra E Verito performs well on rainy days. You'll not face any big issue while driving it in rain. Although, you need to more care of its electrical parts during the rainy season. Q. After 110 KM's any genset facility available for long travel charge? Q. What is 72cc, if it electric car? The car is powered by a 41 bhp "72 volt electric motor", which takes 8 hours for a full charge, while the top-end variant is equipped with a Quick Charge facility that can charge it in 1 hour 45 minutes. 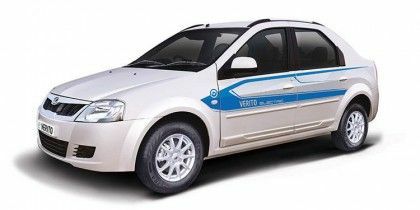 Confused about Mahindra E Verito?